Product prices and availability are accurate as of 2019-04-20 03:19:28 EDT and are subject to change. Any price and availability information displayed on http://www.amazon.com/ at the time of purchase will apply to the purchase of this product. 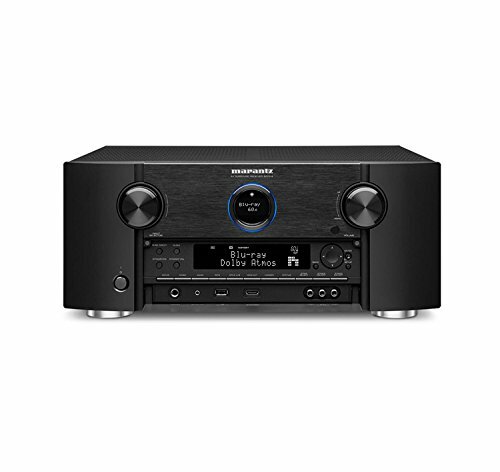 Experience superb music and home theater sound with the new Marantz SR7012. 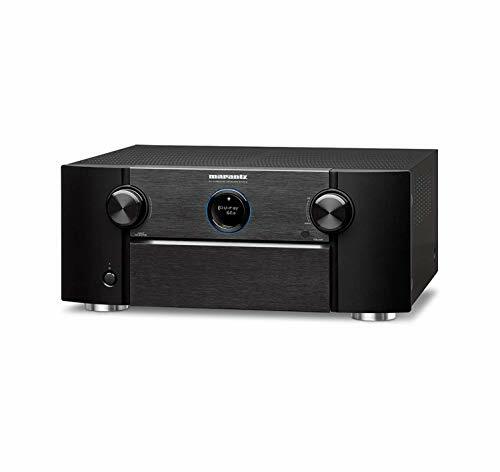 It combines the unique Marantz audiophile sound with all the latest home cinema technologies, including Dolby Vision compatibility, HLG and all 3D surround sound formats already built-in. Marantz has long set the standard for AV receivers combining home theater prowess with superb music ability, and the SR7012 takes that capability to unprecedented levels, combining the very latest technology for an immersive movie experience, including full 4K compatibility and unparalleled 3D surround sound decoding, with precision audio engineering and tuning. Marantz doesn't believe that home cinema performance should come at the expense of music playback, and the SR7012 is designed to sit at the heart of a complete high-end home entertainment system, with nine powerful amp channels built-in. It has a wide range of facilities to enable your favorite music to be shared and enjoyed, including network streaming, compatibility with ultra-high-resolution music formats, Bluetooth and Airplay for playback from portable devices, and the HEOS wireless multiroom system. 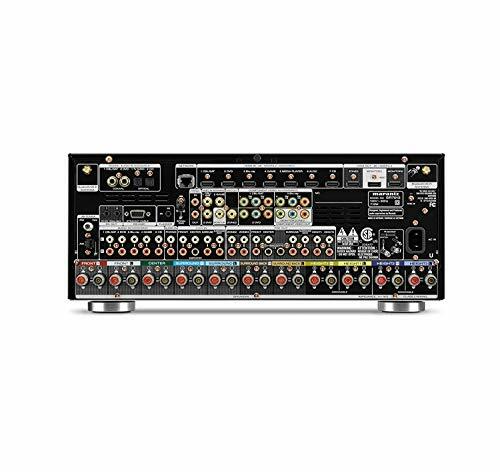 The SR7012 features identical discrete high-current output power amplifier devices on each of its 9 channels for superb sound with both music and movies. Rated at 125 watts per channel (8 ohm, 20 Hz - 20 kHz, THD 0.05%, 2ch driven), it has low-impedance drive capability, for excellent speaker control, and is compatible with 4 ohm speakers too. To enjoy immersive 3D sound, you can set up a 7.1.2 or 5.1.4 3D experience without the need of external amplifier, or expand to 7.1.4 with an additional two-channel amp. using the SR7012's 11.2 channel processing. Meanwhile the Eco mode provides energy savings: it features an on-screen Eco meter, and allows the receiver to be used in power-saving mode.